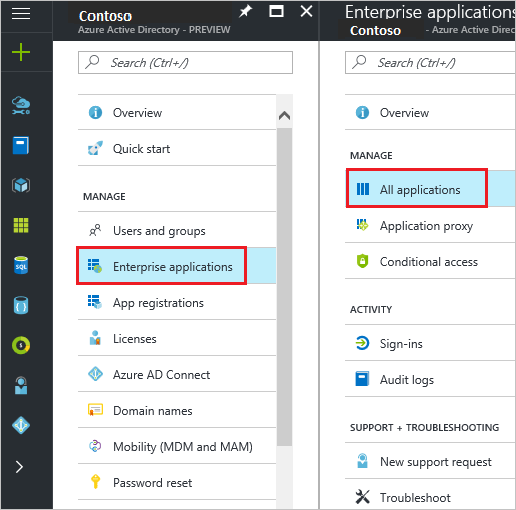 Using Azure with Deputy gives you a platform to manage your Deputy uses in one spot. 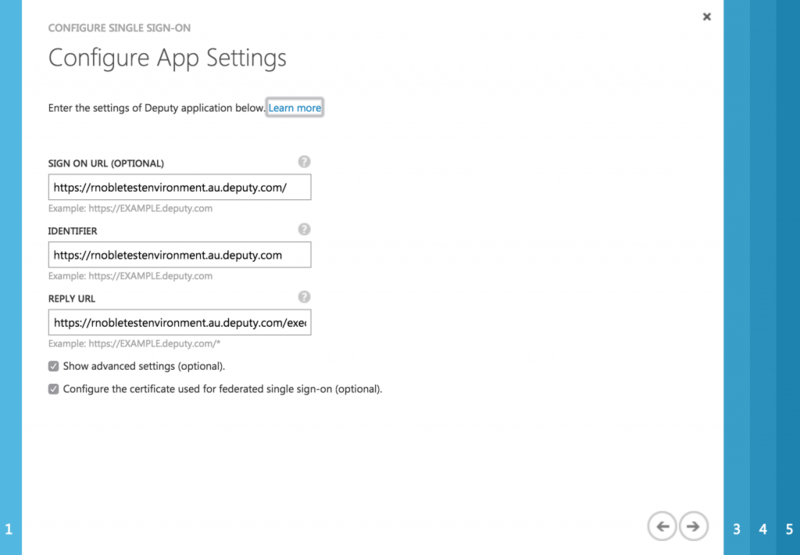 Deputy have teamed up with Microsoft Azure to bring additional functionality to Deputy! 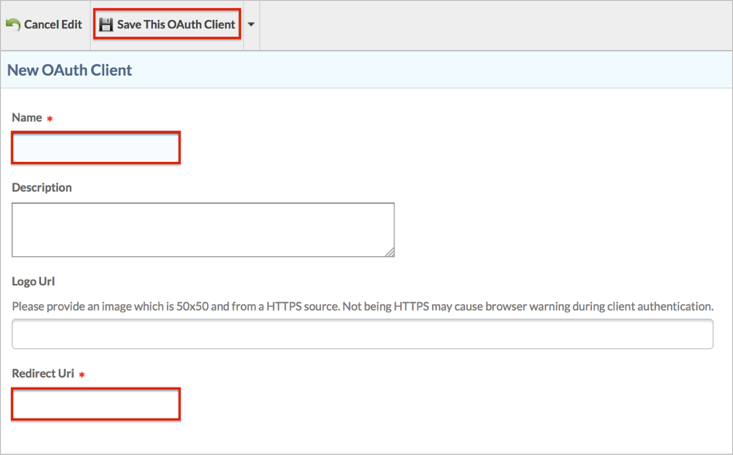 This new feature allows for single sign-on so you can centralise business management and user access to Deputy within Azure Active Directory. Ensure you have a Microsoft Azure account with Active Directory configured for your organisation before proceeding. You can create an account here. 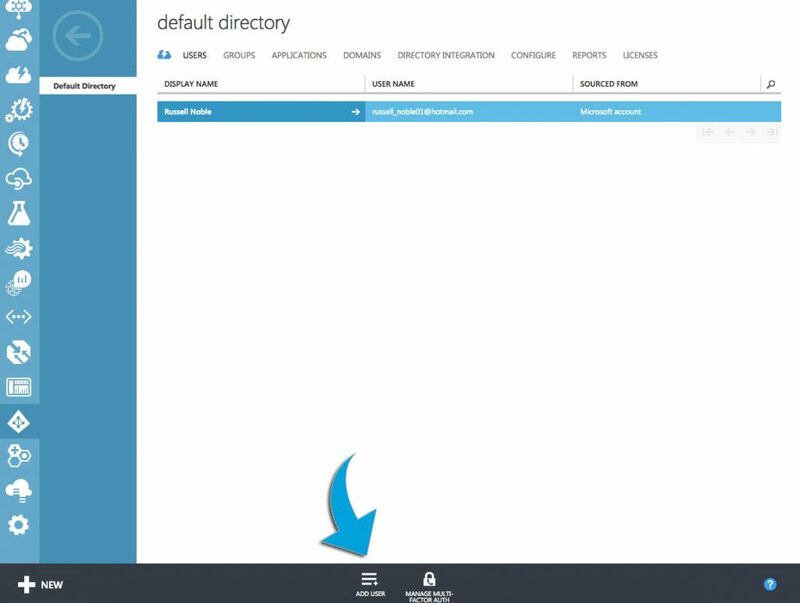 In the Azure portal, select 'Azure Active Directory' in the left navigation panel. Head to 'Enterprise applications', then select 'All applications'. Click 'New Application' at the top of the dialog window. Type 'Deputy' in the search box. Select 'Deputy' from the results, then click 'Add' to add Deputy. For the purpose of this guide, we will go through the steps of ‘Microsoft Azure AD Single Sign-On’. Select the checkbox and click the Arrow icon in the bottom right to continue. ‘SIGN ON URL (OPTIONAL)’: https://[your-subdomain].[location-code].deputy.com/. An example of this would be https://rnobletestenvironment.au.deputy.com/. ‘IDENTIFIER’: https//[your-subdomain].[location-code].deputy.com. This is the same as your sign-on URL without the forward slash (/) at the end. If you keep the forward slash, Microsoft Azure will see this as an invalid identifier URL. 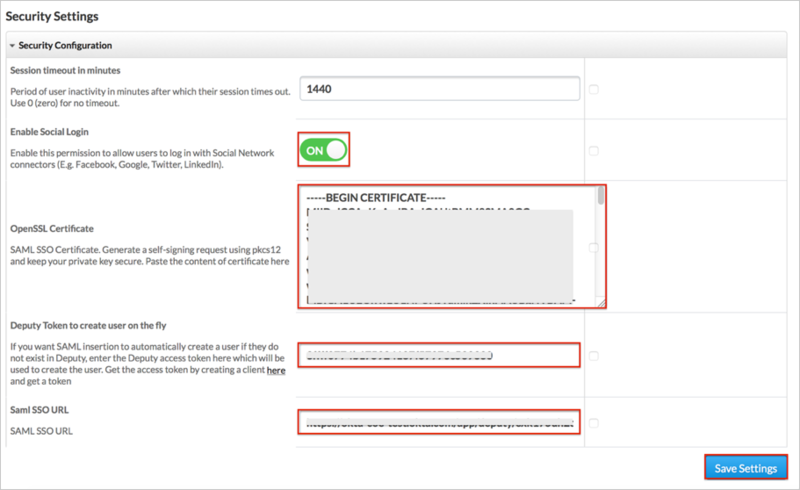 This step will allow you to choose an SSO Certificate to use. If you have already configured one, select ‘Use the currently configured certificate’ or ‘Use a previously generated certificate. Otherwise, select ‘Generate a new certificate’, and in the ‘Certificate valid for:’ drop down box, select the desired number of years. You will now need to collect some details to enter into Deputy. 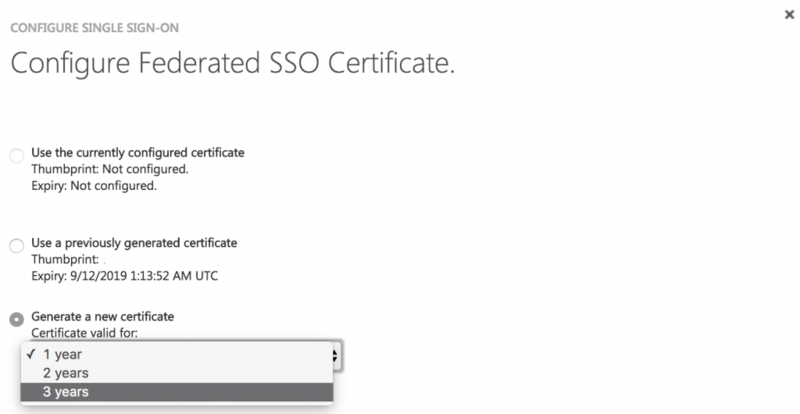 These are found on the page following ‘Configure Federated SSO Certificate’. On this page, click ‘Download Certificate’, which will download a file named, ‘deputy.car’. Under ‘SAML SSO URL’, copy the link in the box. Now navigate to your Deputy System configuration page. This is accessible by adding ‘exec/config/system_config’ to your Deputy URL, for example: https://[your-subdomain]. [region-code].deputy.com/exec/config/system_config (example w/ a URL: https://rnobletestenvironment.au.deputy.com/exec/config/system_config). Select ‘Edit’ next to ‘Security Settings’. Open up the ‘deputy.car’ file using a text editor (on Mac use TextEdit, on PC use NotePad). Copy the entire thing and paste it into the ‘OpenSSL Certificate’ box. When you're done, click ‘Save This OAuth Client’. Simply hit ‘Save Settings’ and you’re done! 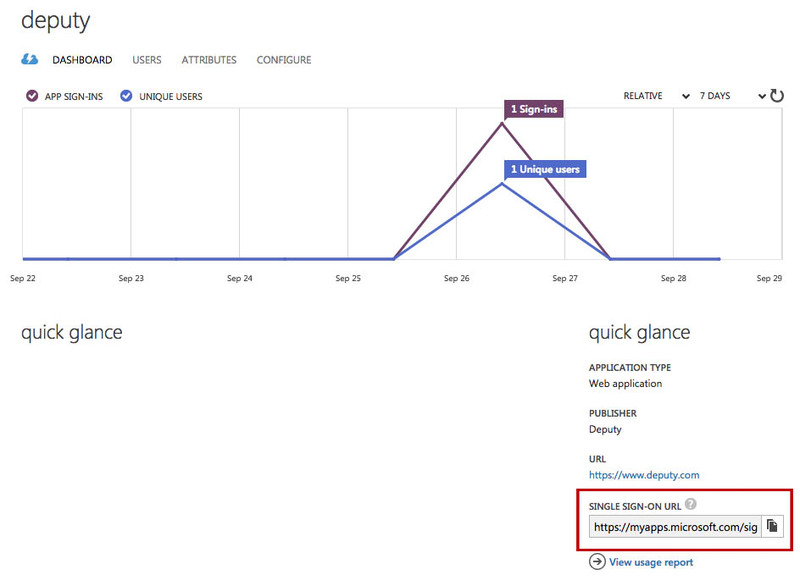 Now we can add users to Deputy via Microsoft Azure. 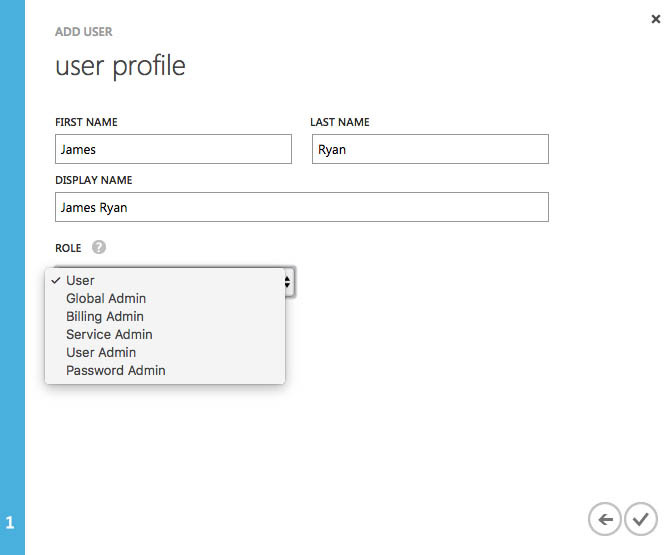 First, navigate to the Users tab in the Default Directory and click 'Add User' in the bottom bar. 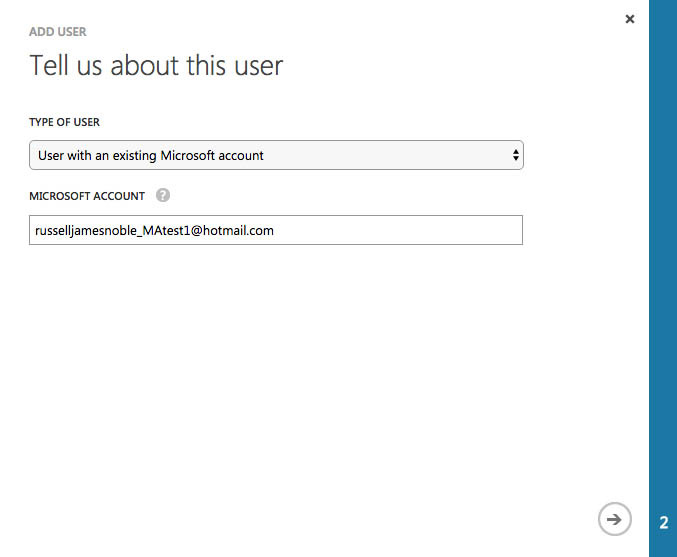 In the following box, click the dropdown box and select 'User with an existing Microsoft account'. Enter the user's email under 'Microsoft Account'. At the time of writing, other consumer emails such as Gmail do not work. In the following box, enter the employee's details. You can also select the employee's permission levels from the dropdown 'Role' box. 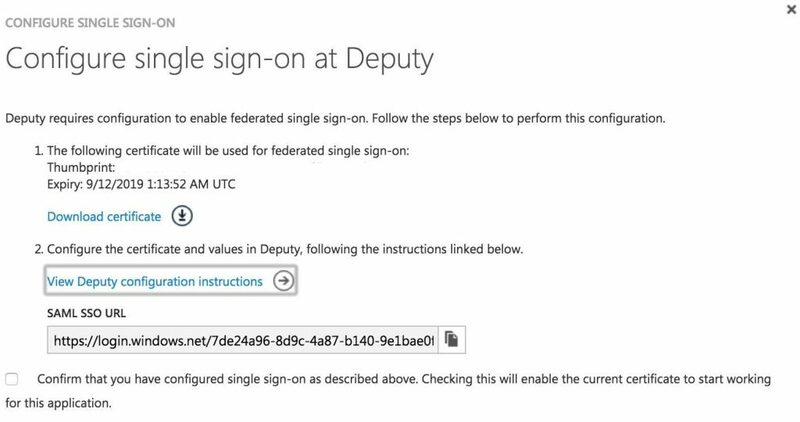 Now make your way to the Deputy dashboard and copy the link in the 'Single Sign-On URL' box and send this to the newly created employees.